Popular Nigerian musician, Davido has shown that his relationship with Chioma is still intact after sharing a new photo with his fans. 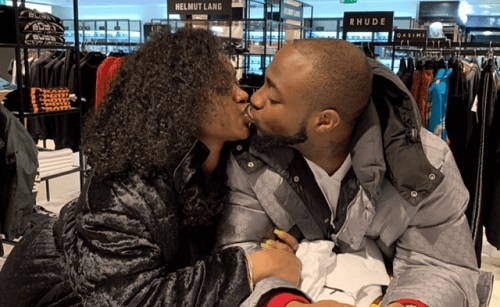 Following the breakup rumours that was ignited after her Instagram account mysteriously disappeared, lovebirds, Davido and Chioma have been spotted together once again kissing passionate ending rumours of a breakup. The photo was shared by Davido on his Instastory. 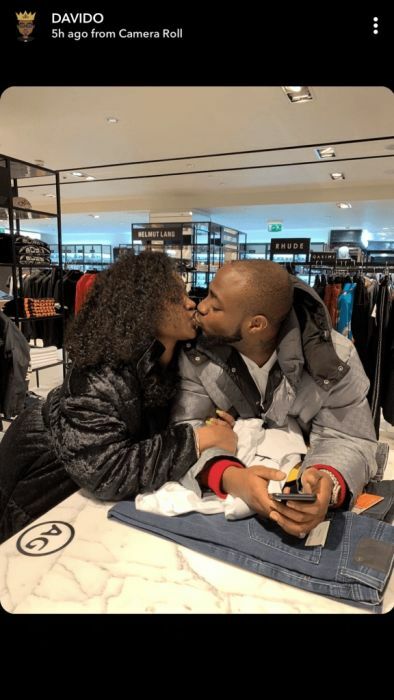 Davido who is in London preparing for his January 27th show, took Chioma shopping and while they were at it, took a break to have a public display of affection.